Although only started a few years ago by the founder, Roger Chambers, Science and Technology has become the largest Purbeck U3A group by far with well over a hundred members, perhaps indicating that the older generation are very much aware of the massive advances in the field of technology over their lifetime and that they wish to keep up with that progress in the future. Presentations, given by guest speakers or group members, are given monthly on the third Wednesday of the month and last for two hours, including a 20 minute refreshment break. From time to time, generally in the summer, the group visits local places of scientific or technological interest. 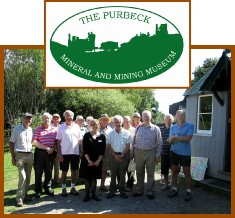 To join us, you are expected to be a member of Purbeck U3A and may be required to show your membership card and number on entering. Guests are, however, welcome to our indoor meetings for one trial visit, after which they should apply for membership of the group. See our Joining page for details. This website is © Copyright Purbeck U3A Science & Technology and John Hale (Website Designer).